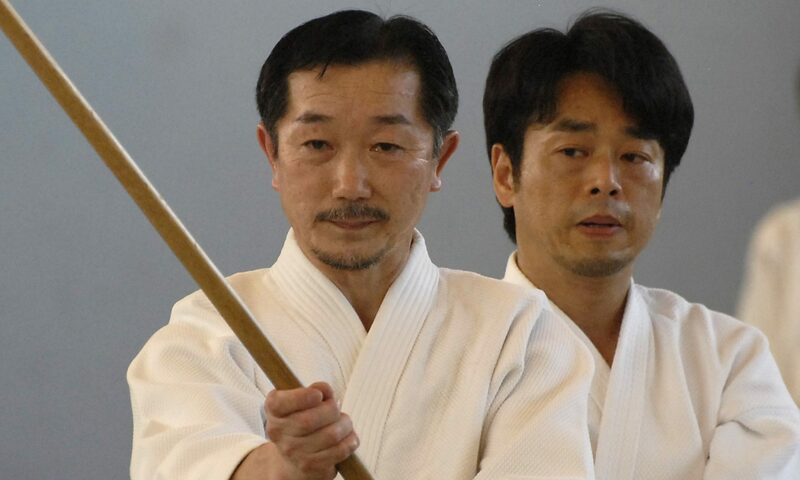 Takemori Yasuhiko, was born in 1952 and currently holds aikido 7 dan (Zaidan Hojin Aikikai). He was the last of four consecutive main ukes to Nishio Shoji shihan, and as such he travelled with Nishio shihan to many places. He came to Sweden for the first time in the 1990-ies. From 1997 he teaches regularly in seminars in Sweden and Finland, since 2003 in St Petersburg and since 2006 in Berlin. Takemori-sensei’s teaching is influenced by a profound knowledge in other budo as well. The sword and the staff (jo) are often used as integrated parts of the aikido techniques. Other than aikido Takemori-sensei is a iaido 8 dan (Zen Koku Iaido Renmei). He is a resident of Yokosuka outside of Yokohama. In his youth he was taught by Okumura Shigenobu (Aikikai Hombu shihan) as well as Kuroiwa Yoshio shihan, Otake Kai shihan, Shimizu Kenji shihan and Saotome Mitsugi shihan.